Bees that feed on tea trees produce manuka honey. Manuka honey can be used for medicinal purposes to prevent infection. Manuka honey refers to honey made from bees that mostly feed on manuka plants. 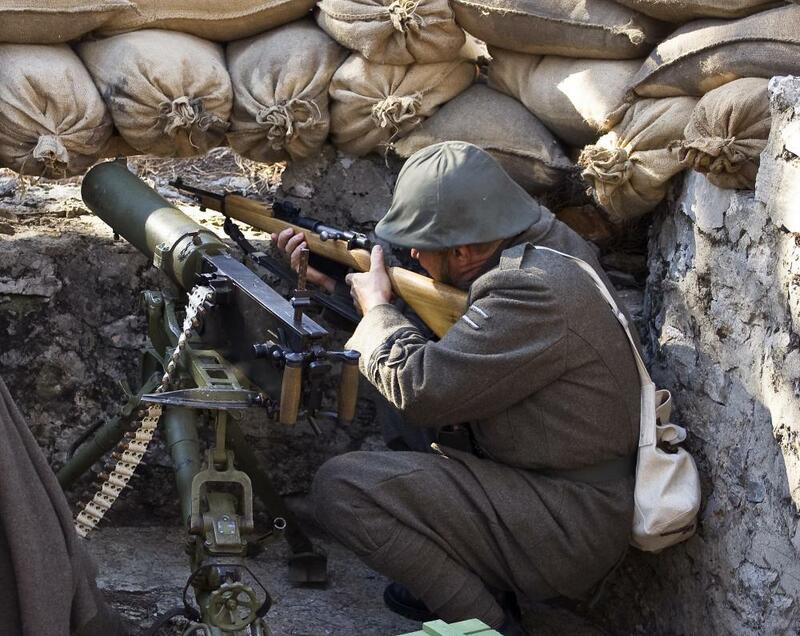 World War I soldiers often relied on manuka honey for medical treatment. Piece of a honeycomb with manuka honey. 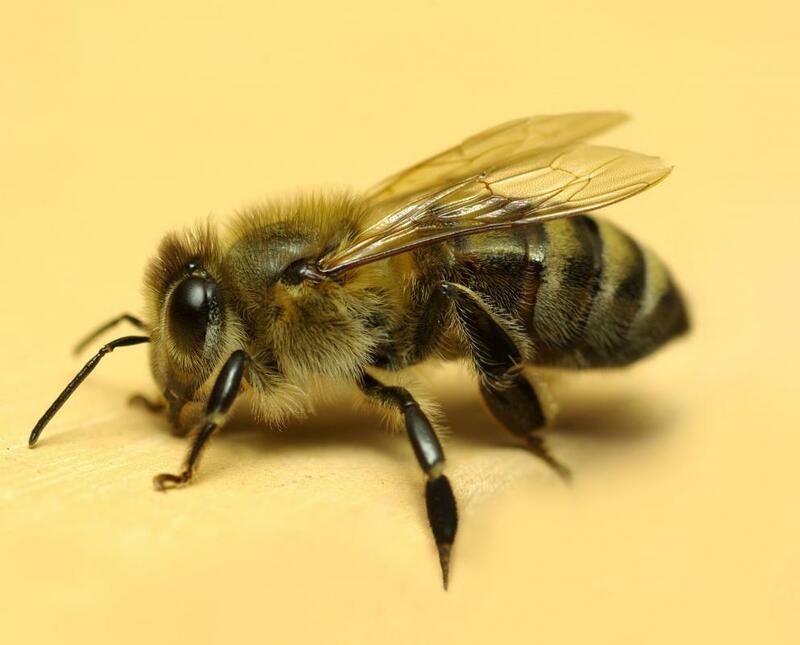 Manuka honey, which is secreted by bees that feed on the manuka bush, may help treat ulcers. Manuka honey is a form of monofloral honey that is produced by bees that feed on the flowers of the manuka plant, better known as the tea tree in some regions of the world. A similar honey is made in Australia with bees which feed on the jellybush. 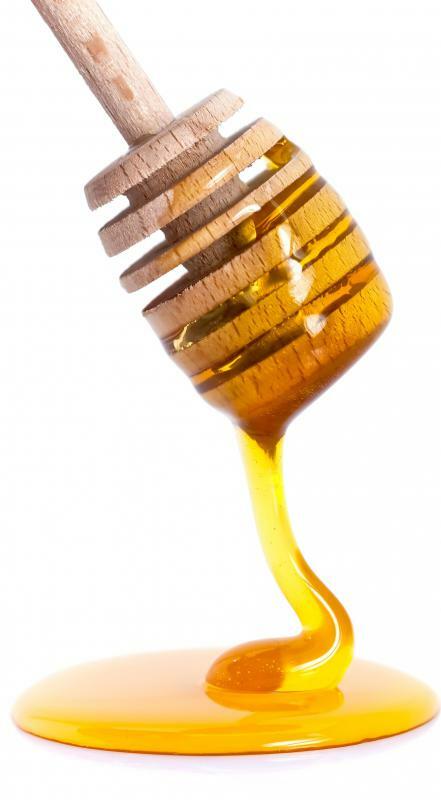 According to studies that have been conducted on this honey, it has a few interesting properties. The tea tree is known to be antibacterial and antifungal, and it has been used for decades as a source of things like mouth washes and disinfectants. Manuka honey is thought to harness the properties of the tea tree, combining them with the already naturally antibacterial properties of honey. 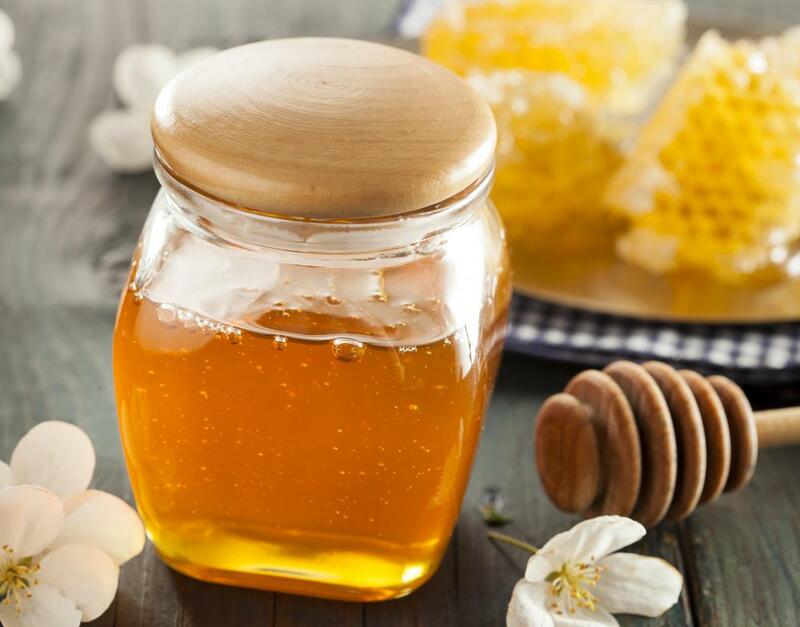 In addition to tasting good, this honey can also be used in wound dressing to prevent infection or fungal colonization, and some people believe that consuming it is also beneficial. Although people may find the idea of putting honey on wounds a bit strange, it has actually been used in wound dressings for thousands of years. 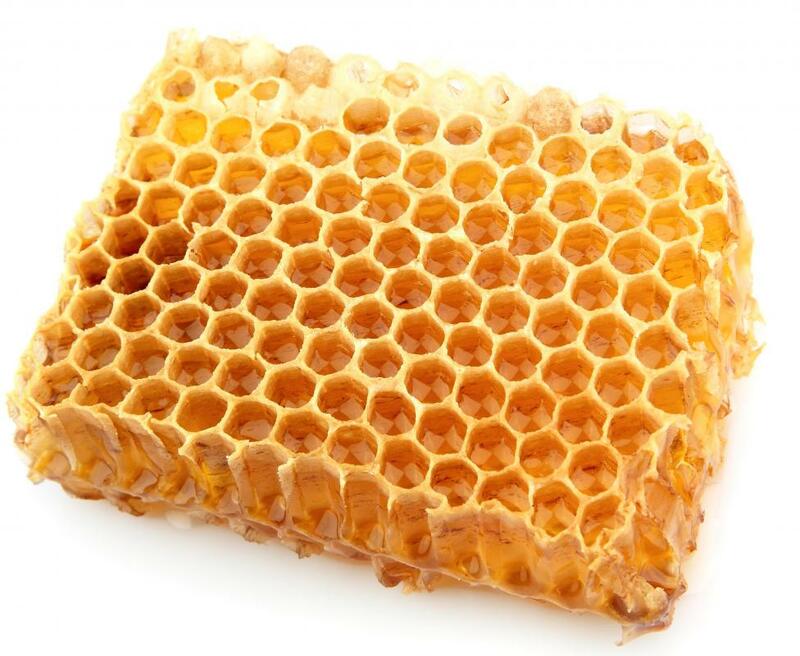 Honey is a natural antiseptic, speeding healing while it protects wounds from the outside world. It also has the added benefit of acting as a lubricant, preventing bandages from sticking, and it was widely used in medical treatment through the First World War. Interest in manuka honey has revived the practice of using honey as an antibacterial, and it has even been packaged in a self-contained wound dressing that can be carried in a first aid kit. 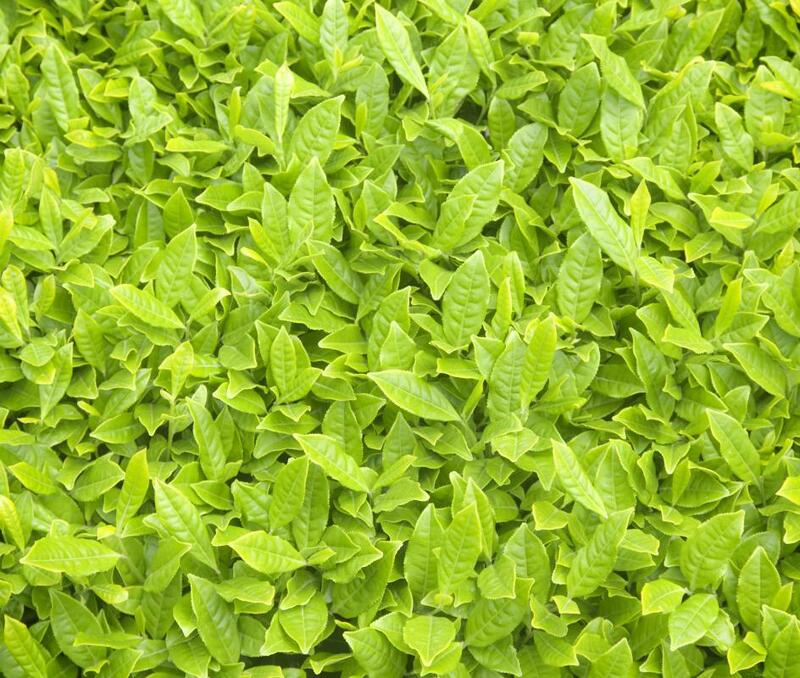 The color of this honey is quite dark, and it is very rich with an intense flavor that is reminiscent of the flavor of other tea-tree derived products. It can be used just like regular honey as a sweetener and is a very popular table honey in New Zealand, the home of the tea tree. It is also possible to create honey products from this variety, such as whipped honey and honey salves and creams. Consumers may see manuka honey labeled as “UMF honey,” in a reference to the “Unique Manuka Factor,” a concept coined by Peter Molan, a researcher in New Zealand. He has established a UMF scale, comparing this honey with standard disinfectants. Molan's research has also suggested that manuka honey appears to be effective against some strains of antibiotic-resistant bacteria, a growing issue in hospitals all over the world. Still, consumers should take advertisements and testimonials about this variety of honey with a grain of salt. Although it is considered to be tasty and potentially beneficial in the treatment of some conditions, it is not a panacea or a wonder-drug. It should be used medically in moderation and under the supervision of a medical professional. How Do I Use Manuka Honey for Wounds? How Do I Use Manuka Honey for Ulcers? I just need to know if you can use this for treatment of acne. Molan is a biased researcher who will only publish on manuka because that is where his funding comes from. After years of fighting against MGO as a test standard for measuring the antibacterial activity of manuka honey, he has suddenly done an about face because he needed the funding from a honey firm in Auckland who use the MGO rating. You might be interested to know that Australian Berringa honeys have more MGO than manuka. Jekyll Island, Florida has a sea turtle hospital and rehab facility. They are active users or medical grade Manuka honey to heal cracked turtle shells, cut flippers, etc. It comes to them in the form of a fruit roll up so it can be molded to the shell or body part. They then cover it with bees wax to keep water out and then put a waterproof bandage over that. The results are excellent. I was feeling a total lack of mental and physical energy. I started to have about three teaspoons of Manuka honey during the day and within few days I started to feel like my old self again. I don't know if I could attribute this 'revival" to this particular honey, but something good must have happened. I am now taking it regularly. Thank you for your life saving ideas. As a Nurse, I don't think it would be possible to do my work and have to deal with diarrhea at the same time. Sincerly,C.J. I just personally think that Manuka Honey is a miracle drug. It has done wonders to my acid reflux condition. I have quit taking all medications for acid reflux and the honey has relieved all the acid back up and pain in my chest. Anyone with liver and gallbladder health issues, read "The amazing Liver & Gallbladder Flush" by Andreas Moritz. Miracles do happen. I have started using manuka honey only today at 4 p.m. on mrsa infection. my arm was so sore today and i had put garlic on it nothing happened just got worse. I tried all the chemical potions and lotions to no avail. Within hours -- I mean hours -- less than 12 --my arm has not swollen and is healing. I was kind of weary of all these testimonials. I thought it was more crap to buy a product, but its actually working. I don't believe it. The manuka honey works. I am using manuka 20+ and there is no more pain. You know, today I thought i was going to end up in the hospital, i felt so faint and ill. I have to say I feel great. Thank you manuka. i love you. I've suffered from a chronic, low grade diverticulitis for almost four years. I've taken enough cipro to sink a battleship with only brief gaps in my ongoing intestinal troubles. My mom recommended this honey (she has GERD). I initially thought it was the dopiest thing I've ever heard; paying $25 for a little jar of honey. But I was desperate to avoid surgery. To make a long story short, I purchased a couple of jars of 16+ Manuka Honey at the local Wegmans and am now a believer. I eat a teaspoon twice a day and eat a good yogurt and am feeling better than at any point since this whole ordeal began. I understand the skepticism around this and thought it was crap myself when I first heard about it. But it helped me when nothing else could (except surgery). Just wanted to concur with anon19182. I have recently been hospitalized with extreme pain in upper right hand shoulder blade, and lower right hand abdomen, with suspected gall bladder disease. Ultrasound is due next monday. In the meantime, since the prescribed acid blocker is only assisting mildly (half a day), since reading about taking honey, I have found a teaspoon four times a day and once again before bedtime has reduced the pain and severe wind no end. I will research this more, once a decision has been officially given into my specific diagnosis, but since my father had his diseased gallbladder removed at my age and his was very deformed, perhaps my gallbladder issue is inherited. The honey has literally enabled me to tolerate food again (I had been living on plain rice for three months). More research is needed into acid/GERD/gallbladder related natural remedies and the preservation of the bee population! D.R. Clinical trials in support of the many claims for the therapeutic benefits of manuka honey are deficient to an alarming degree. I have been intimately involved in all aspects of the evolution of manuka honey claims as a scientist and so am qualified to comment on this matter. A recently published paper by Waikatao University researchers in "Carbohydrate Research' appears to have found the chemicals that account for the UMF. Unfortunately they are relatively simple and easily obtained chemicals hence the ability to adulterate honey and obtain UMF ratings seems inevitable and also very difficult to prove. I suggest UMF will be appearing in all sorts of honeys except perhaps clover honey. Got manky bush honey -add MGO and DHA and voila UMF 30 manuka honey. Active Manuka honey is an excellent natural alternative, it may be a bit sticky especially for skin care but there are some excellent facial and body creams available. For wounds honey alone will act as an excellent antiseptic it encourages healing with out destroying tissues and therefore reduces scaring. Orally its excellent for the common cold, stomach bugs and digestive discomfort. An amazing all rounder for the first Aid Kit. Dr. Molan has left the Active Manuka Honey Association (AMHA) and there is some question as to the accuracy of the the UMF rating system which is regulated by the AMHA. Dr. Molan has severed his ties with the UMF rating system and the AMHA, and not under good terms. Industry infighting has been ongoing as to the regulation of this wonderful product. Please know, there are other Manuka Honeys available which have scientific research backing their rating systems (i.e. MGO Certified with Methyglyoxal content as discovered by Dr. Thomas Henle at the University of Dresden, Germany, which is also trademarked and regulated to ensure accuracy and containing the anti-bacterial qualities it says it provides). Consumers beware of Manuka Honey with UMF rating - and as always do your research to be sure you are getting exactly what you think you are buying. Manuka Honey is an amazing natural resource because it it high in antioxidants, vitamins and amino acids. It has been gaining its well-deserved recognition because of its ability to effectively treat MRSA Staph infections. 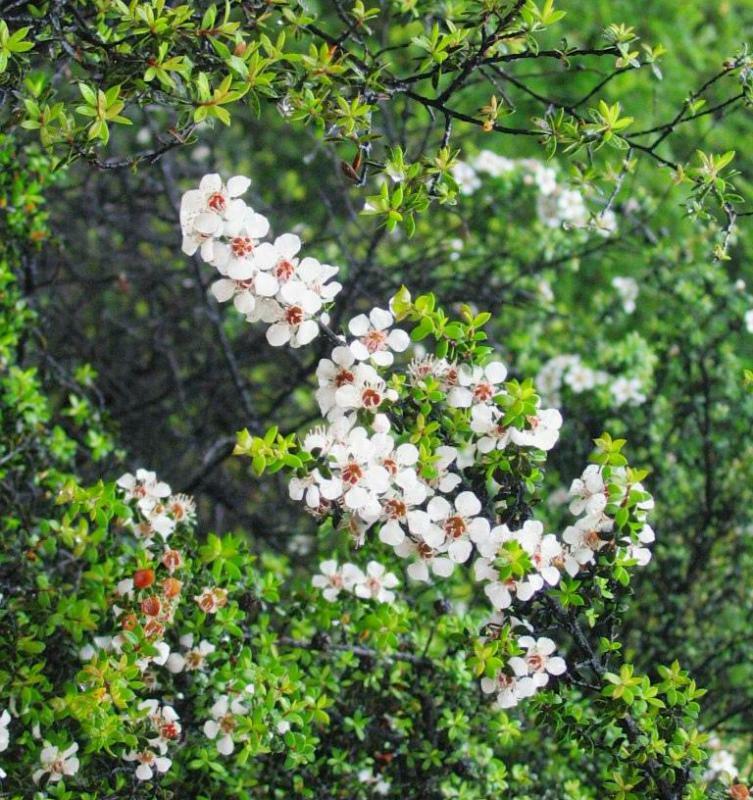 The manuka plant and the tea tree plant although related, are different. Manuka is unique to New Zealand. It should be noted that 'UMF' is actually an industry registered trademark that exists for consumer protection, by having a set of standards and a properly tested measure of antibacterial level in the honey. Not all manuka honey is UMF honey. If using externally, eg on a wound, then a medical grade manuka honey should be used, as it will have been sterilized and have undergone a greater level of filtration, compared to jars aimed at internal use. There is now becoming a wider range of research supporting its benefits, including some published randomised clinical trials using sterilized UMF manuka honey undertaken in Europe (UK and Ireland). Is the manuka tea tree the same as the Lalaluka tea Oil Tree that has invaded Florida in USA? Just an FYI regarding phytoestrogens. All plants have different amounts of estrogen like properties. While some being higher than others, i:e: soy. red clover, and black cohosh, tea tree is very low. Most vegetables have estrogen like properties too. If you are concerned, books on natural hormone therapy usually have a good listing of plants with these types of chemicals. If this honey is from the tea tree plant does the honey have the same effect as tea tree oil in mimicking estrogen like substances in the human body? I just wanted to add to the article that Manuka honey appears to abate my severe abdominal pain attacks that my gastroenterologist, so far, has not been able to diagnose. It feels like it is my gall bladder but two ultrasounds haven't found anything definitive. I only get attacks a couple times a year so this has been tough to figure out. I'm thankful that the Manuka honey (unlike everything else I've tried) keeps the attacks mild in pain. Before Manuka honey, the pain was incredible--like I was being stabbed with a knife.